Happy weekend! It was another busy week full of exciting Disney news! Let’s recap what we were talking about! 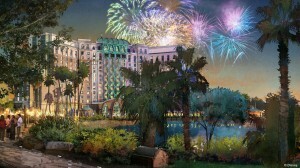 Disney announced two major resort updates at Coronado Springs and Caribbean Beach Resort! Coronado Springs will get a 15-story, 500 room towers and Caribbean Beach is adding waterfront dining. Could Disney be planning to build a gondola-style cable car system? Maybe. We got a peek at the commemorative merchandise for the 2017 Epcot Flower and Garden Festival! Disneyland is featuring special Beauty and the Beast-themed food and special experiences. And this summer, Disney California Adventure is planning the Summer of Heroes. Geyser Point Bar & Grill opened on February 13 at Disney’s Wilderness Lodge! And, Disney is rolling out the MagicBand 2.0 and accessories. In runDisney news, the Virtual Running Shorts series is happening again this summer, and registration is now open for the 2018 Walt Disney World Marathon weekend.